Not only are birds capable of becoming depressed, but prolonged depression can lead to self-destructive behaviors, lowered immune response, and an array of other problems. If you suspect that your bird may be depressed, compare his or her behavior with the points listed here. Signs pointing to depression may signal that you need to change something about your bird's environment or your level of interaction with your pet. Although it can be a symptom of several different types of issues in pet birds, one big indicator of depression is appetite loss. Because birds have such fast metabolisms, it's important to learn to recognize it very quickly if your bird stops eating. Weight loss can come quickly and be very harmful to a bird, so if you notice that your pet's food intake has changed for two consecutive days, you will want to schedule an appointment with your avian vet to investigate the matter. One of the biggest and most easily recognizable signs that a bird is depressed is a sudden change in personality. Often, especially in parrots, this manifests itself as aggression. While aggression can be seasonal and related to hormonal issues, continually out-of-character behavior may be a sign that your bird is chronically unhappy. To be safe, have any sudden behavior changes investigated by a vet to rule out medical concerns. If your bird has a clean bill of physical health, then you should begin to assess what is going on in your bird's life that could have triggered the behavior. When a bird starts feather plucking, it can quickly progress into a chronic and devastating problem. If you start noticing bald patches on your bird, have your avian vet check things out so that you can rule out disease. Once you are certain that there isn't a medical issue in play, then you can go on to figuring out why your bird is plucking. Many birds start to pluck out of boredom or when they aren't getting enough social interaction, so scheduling more time with your bird each day may be what your pet needs most of all. 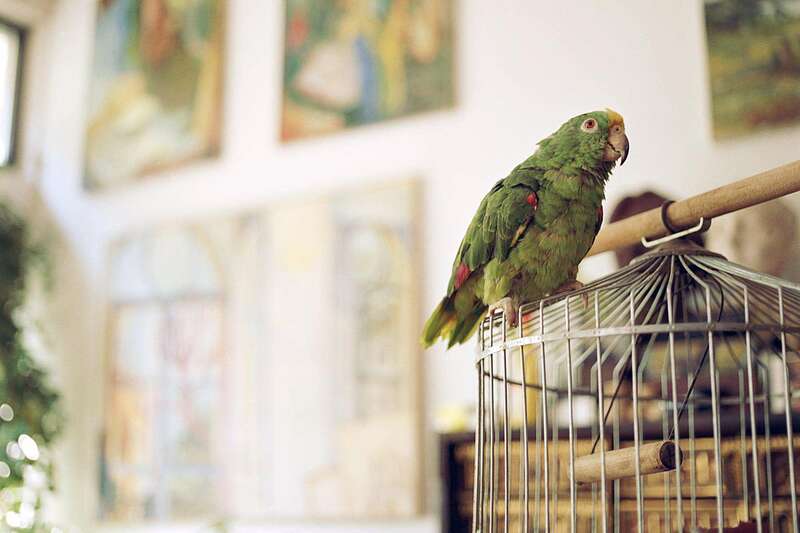 You know your bird better than anybody—and if you have owned him or her for a while, then you should be pretty familiar with the frequency and types of vocalizations that your feathered friend makes on an average day. If you begin to notice a change in the level or kind of vocalizations that your bird is making, then it could be a sign that your pet is experiencing depression. Many birds resort to screaming out of boredom or frustration, so if your bird is louder than normal, it may be a sign that your pet would like to spend more time interacting with you. Another indicator that your bird could be stressed or depressed is the presence of stress bars on his or her feathers. While stress bars aren't a health concern, they can clue you into problems with your bird's overall happiness and quality of life. If you notice stress bars on your pet, take a good look at your bird's diet, environment, play schedule, and interactions with you. If you see areas that could be improved, step things up a little bit and see if you can tell the difference in the way your bird looks and feels.